If you have a LinkedIn Company Page but are not actively using it, you’re missing a trick. With over 450 million registered members, this business-orientated social networking platform is prime internet real estate for engaging B2B audiences, generating leads and building customer relationships – when you know how to work it. Taking our cues from the top LinkedIn performers – such as Microsoft, Google and Forbes – here are ten things you should be doing to extract the most value from your page. This is the most important step as all too often Company Pages disappear into the LinkedIn abyss. By putting someone in charge, you can ensure your page stays fresh, active and visible in newsfeed. Give your administrator the responsibility to make edits, post updates and ask and reply to questions on your behalf – but make sure you’re communicating regularly on strategy. To build recognition and trust you need to communicate a consistent image. Therefore it’s important that your LinkedIn Company Page is on-brand. Achieve this by adding your logo and sticking to your brand colours, fonts and tone of voice. Your cover image is a critical feature of your page and should always be something brand relevant – but be sure to change it regularly. Not only will this add visual interest to returning visitors but it can also help promote different aspects of your business. This means filling in all the available sections, including your company size, type, founding date, URL, ‘Specialities’ and a short, comprehensive ‘About’ description. The more information you provide, the more credible you look and the better chance you have of getting prospective customers to connect. In addition, create some boilerplate company copy your employees can use on their own profiles. 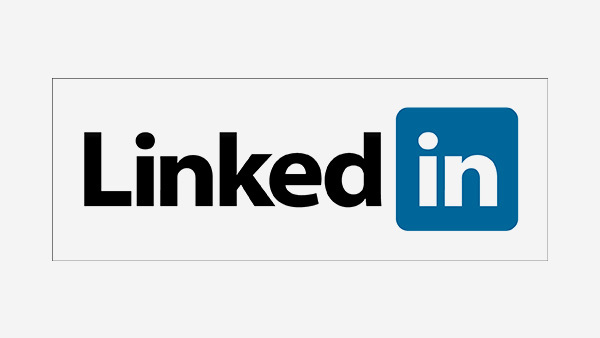 This will help keep your brand message consistent across the LinkedIn platform. These are essentially subpages of your Company Page which you can use to promote a specific product line, service or even an event. Set up alongside your main page, each of your Showcase Pages can attract its own followers, publish its own status updates and feature unique functionality. The benefit? You can create more targeted communications – the key to marketing success. According to LinkedIn’s 2015 findings, 99% of the top performing companies on the site are posting regular updates with an average post count of 12.6 per week. Whilst you don’t need to post quite that often to reap the benefits, you should be aiming for around three or four a week. While this may seem like a lot, it’s actually pretty achievable when you mix fresh content (blogs, videos etc.) with curated posts, company insights, quotes and targeted questions. Plus the variety will help keep your followers engaged. As well as publishing posts from your Company Page, get your employees to share them – again something 99% of the top LinkedIn companies are already doing. Why does it work? Because the more people who share your post the more people will see it and the greater chance you have of attracting new followers and gaining new customers. It’s not just your website that can be optimised for search. By boosting your LinkedIn Company Page with keywords, you’re facilitating another opportunity to get your business seen in the Google results pages. To get it right, add long-tail keywords throughout your company description as well as in the ‘Specialities’ section. It’s a quick and easy way to drive more traffic to your page. Whilst you can’t join groups from your Company Page, you can ask trusted employees to join them for you. LinkedIn Groups provide a place for professionals in the same industry as you to share content, find answers, make business contacts and establish themselves as experts. Encourage your employee members to be active listeners, as well as to contribute to timely conversations. This will both keep you informed and help boost your brand. This is highly recommended for B2Bs looking to spark the interest of other business owners and professionals. You can choose from a range of ad formats from Sponsored Content and InMail to Dynamic, Text and Display Ads. Not only does it offer tight, customised targeting allowing you to choose audiences based on company size, title, industry and geography, it’s also easy to set up. Regularly check out the ‘Analytics’ tab to see how engaging your individual posts are. You can also identify trends across key metrics and understand more about the demographics of your followers and sources of traffic. Through these insights, you’ll be better informed to make changes to improve the effectiveness of your page. When well-managed, your LinkedIn Company Page can be a real asset and a great way to boost your marketing efforts. But to become a top performing LinkedIn company you’ll need to be committing time and effort on an ongoing basis.